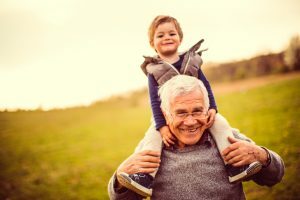 You dutifully follow your grandchild as they run through the park. You think it’s so funny that they act like they’ve never been outside whenever you bring them here. As they serpentine through the grass, you know inevitably where they will end up: their favorite tree. The only reason it’s their favorite is because it’s the only one they can climb. You remember when they used to need your help to get started, but these days they are usually sitting on a branch by the time you get there. Their parents don’t like them climbing trees, but you know how sturdy they are. What may look like a flimsy sapling is actually strong and securely rooted into the ground. Dental implants work in a similar way, in that much of their strength comes from the root. 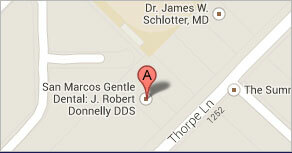 Dental implants in San Marcos are one of the best ways you can replace your missing teeth. The titanium in the root not only assures that it is strong, but that it will securely meld with your natural jawbone. The porcelain crown restores the portion of the tooth above the gum line. The ceramic used to make it ensures that the tooth is both pleasing to look at and functionally strong. These two elements are connected by the abutment, which also serves to support the crown from the inside. Dental implants are more comprehensive and stronger than traditional crowns and bridges. You will be given 3-6 months to heal, as well as allow the root to bond to your jawbone. 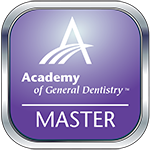 You will be under a gentle form of general anesthesia during the first procedure to assure your comfort. The healing period is dependent on your condition coming into the implant process. Dental implants are one of the most versatile ways to replace missing teeth, as they can be used to restore a single tooth, support a bridge, or even anchor a set of dentures. Dental implants have a 98% success rate when properly maintained, which only entails routine brushing and flossing. If you are curious about what dental implants could do for your smile, please give us a call today. Your smile can be brought back, so don’t feel like you have to be stuck with your missing teeth.